Kuwait, 20 December 2016: The name alone is a commitment: a ŠKODA Superb has to be something special. In accordance with this task, the ŠKODA designers and developers have taken the new ŠKODA Superb to a new level in terms of creativity and technology. 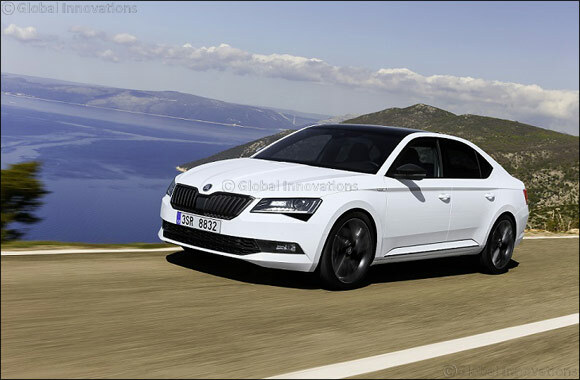 The ŠKODA Superb is driving the brand forward with its new, modern and emotionally-rich design, its above-average spaciousness has once again been improved and it benefits technically from the Group’s innovative MQB technology. Generous dimensions, innovative assistance systems for safety, environment and comfort, engines and ‘Simply Clever’ details, typical of ŠKODA, move the brand’s flagship to the upper end of the automotive mid-class segment. In short, the new Superb is the best ŠKODA of all time and is the highlight of ŠKODA’s largest-ever model campaign. “ŠKODA is a leading global automobile brand in the mid-class segment that has successfully presented the fine engineering design, the space and the price” said Tarek al shafie, General Manager of Fouad Alghanim & Sons Automotive Company, the sole dealer of SKODA in Kuwait. “The third-generation model of this ŠKODA Superb is not only introducing new spacious design but also incorporates cutting-edge features that today’s family needs. We are delightfully to bring this new car to our customers in Kuwait “.